LocalCircles takes Social Media to the next level and makes it about Communities, Governance and Urban Daily Life. With LocalCircles, a citizen can get connected with their Government, City, Causes, Neighborhood, Interest, Needs and any other communities they are a part of. 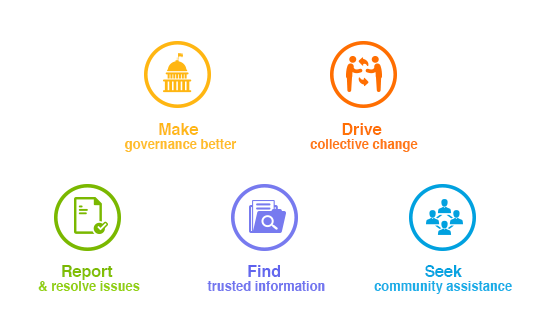 When citizens get connected and become communities, it leads to transparency, easy availability of trusted information, easier collective action to address common issues and an easier/better urban daily life. Using LocalCircles, organizations can reach out to citizens and understand collective issues, challenges, solutions, opportunities, pulse at macro or micro levels. We’re looking for a talented, energetic individual to join our team as a “Sr. Back-end Engineer/Architect” in our development office in Noida. Working closely with our product and Development teams, the person will be responsible for leading and creation of highly scalable backend systems using GraphDB, Cassandra, MongoDB/MariaDB/MySQL and MemCache/Couchbase. • Candidate must be very good in problem solving, self driven. • Very good team player and passion for bringing in new technical solutions.